Discover these four purveyors of unique and tasteful goods, found only in Omaha’s historic Old Market. Strolling through The Old Market neighborhood is a feast for the senses. The smells coming from the 42 restaurants, the sounds of street performers where Howard and 11th streets meet, the people-watching available at the 19 pubs and taverns in the market—all are easily within walking distance of the numerous hotels in the area. If you need a massage after all the walking around you’ll want to do, or a book to read while you sip some coffee (or something stronger) on one of the numerous outdoor patios, the market has you covered there too. When you stay and shop in The Old Market, you’re supporting local, independent, one-of-a-kind businesses. These establishments provide an experience you won’t find everywhere else. 801 SOUTH 10 TH ST.
3 614 SOUTH 11TH ST.
First Friday Every Month The Old Market firstfridayoldmarket.com Held the first Friday of each month, 6-9pm, First Friday is a free event celebrating local creativity in our historic neighborhood. Visit galleries to explore fresh perspectives and meet the artists. TASTE OF OMAHA May 31 – June 2, 2019 Heartland of America Park showofficeonline.com/tastehome Cook up a great time at the Annual TASTE OF OMAHA Festival, presented by Cox. Stretched along Omaha’s scenic riverfront parks, this unique community celebration features food, culinary delights, desserts, free concerts, and more. SANTA LUCIA ITALIAN FESTIVAL June 6 – 9, 2019 Lewis & Clark Landing santaluciafestival.com Founded in 1925 by Grazia Bonafede Caniglia. Each year the Santa Lucia Festival Committee holds the festival with authentic Italian foods, music, and history to help raise money to continue charitable contributions. OMAHA SUMMER ARTS FESTIVAL June 7 – 9, 2019 Mike Fahey Street between 10th to 14th summerarts.org Browse and buy original artwork created by 135 artists at Nebraska’s largest arts celebration. With two stages of continuous music, hands-on art experiences, and delicious street food, there’s something for everyone! COLLEGE WORLD SERIES June 15 – 25, 2019 TD Ameritrade Park Omaha cwsomaha.com The NCAA Men’s Division 1 baseball championship—or College World Series—has called Omaha home since 1950. Each June fans watch the nation’s collegiate all-stars play “The Greatest Show on Dirt” at beautiful TD Ameritrade Park Omaha. Established in 1919 Celebrating our 96th year! Calendar of Events OMAHA FARMERS MARKET May 4 – October 12, 2019 11th & Jackson | 8 a.m. – 12:30 p.m. omahafarmersmarket.org Join growers, vendors, and other market-goers for the city’s best selection of farm-fresh, local produce, bedding plants, fresh cut flowers, baked goods, meats, cheeses, specialty items, and more! October 27, 2019 11th & Harney oldmarket.com Dress in costume for this fun and free family experience in The Old Market. Interactive displays from Omaha Police & Fire, thousands of FREE children’s books on the Book Bus, pet contest, and candy for trick-or-treaters. HOLIDAYS IN THE OLD MARKET Thanksgiving – January The Old Market oldmarket.com Enjoy our grand yuletide of bright lights and unmatched revelry. We’ll be decorated in our holiday best and scented with fresh greenery—but it’s the holiday specials inside that will beckon you to explore. HOLIDAY LIGHTS FESTIVAL Thanksgiving – New Years Day holidaylightsfestival.org Showcasing Downtown Omaha with a full season of festive, family-friendly activities with a charity component for Food Bank for the Heartland. Also view thousands of dazzling lights illuminating Downtown Omaha. Old Market » 11th & Jackson St. 8 a.m.-12:30 p.m.
724 S. 12th St. | bemiscenter.org Founded in 1981, by artists for artists, Bemis Center for Contemporary Arts supports today’s artists through an international residency program, temporary exhibitions and commissions, and innovative public programs. 1106 S. 10th St. | bluebarn.org ½ Mile from The Old Market Established as Omaha’s premier professional theatre, producing over 100 plays throughout its history since 1989. BLUEBARN is dedicated to theatre’s most important tradition: to provoke thought, emotion, action, and change. 705 Riverfront Dr. | visitomaha.com 1 Mile from The Old Market This 3,000-foot long walkway stretches across the Missouri River, giving pedestrians a spectacular view of Omaha’s skyline and an almost airborne experience. Connected to more than 150 miles of nature trails —visitors love to bike and walk on Bob. 455 N. 10th St. | chihealthcenteromaha.com ½ Mile from The Old Market Between its stunning architecture and riverfront location, the CHI Health Center Omaha convention center and arena is not only a fixture in the city’s skyline—it’s a favorite destination for concerts, trade shows, and exhibits. 801 S. 10th St. | durhammuseum.org Omaha’s former Union Station is now the region’s premier hands-on history museum! Climb aboard passenger trains from the 1940’s and 50’s and enjoy vibrant exhibits and beautiful art deco architecture at this National Historic Landmark. 1601 Dodge St. | firstnational.com ½ Mile from The Old Market First National transformed five downtown city blocks into a green urban sculpture park. The sculptures depict Omaha’s rich pioneer history and is one of the largest installations of bronze and stainless steel in the world. Our pioneering spirit led us away from the coasts. Here, we built a home, a place where we could lift others up and help others over. Thatâ&#x20AC;&#x2122;s what we do. Every person who arrives to work and play hard elevates us even more. WeDontCoast.com Find local events, inspiration and insight into living and working in Greater Omaha. 1302 Farnam St. | visitomaha.com Gene Leahy Mall is Under Construction A ten-acre park in the heart of downtown. Lagoon and waterfalls, walking paths, gardens, playground, amphitheater and sculpture garden; connects to Heartland of America Park. Also the centerpiece for the Annual Holiday Lights Festival. 800 Douglas St. | visitomaha.com ¼ Mile from The Old Market Catch the spectacular view at the Heartland of America Fountain, a 320-ft water jet and light show. Enjoy Lewis & Clark Interpretive exhibits and WWII and Airborne Memorial Sculptures. Gondola rides by Heartland Gondola also available. 3701 S. 10th St. | omahazoo.com 2½ Miles from The Old Market Consistently ranked as one of the world’s top five zoos, Omaha’s Henry Doorly Zoo and Aquarium is nationally recognized for its conservation, animal care, and exhibit design. 1200 Douglas St. | omahaperformingarts.org ½ Mile from The Old Market Known best for its world-class acoustics and architecture, Omaha Performing Arts’ Holland Center presents jazz, blues, world music, family entertainment, and comedy. It is also home of the Omaha Symphony. 2200 Dodge St. | joslyn.org 1 Mile from The Old Market Joslyn Art Museum showcases art from ancient times to the present. The Museum offers something for every interest and every age, and general admission is free to all. 1111 Jones St. | thekaneko.org KANEKO is a nonprofit arts and cultural organization dedicated to exploring and encouraging the creative process and how it impacts our lives. For more information about KANEKO, visit thekaneko.org. 345 Riverfront Dr. | parks.cityofomaha.org ½ Mile from The Old Market The 23-acre Lewis & Clark Landing provides a variety of options to relax and enjoy the Missouri River. See Lewis and Clark interpretive exhibits and ‘Labor,’ the second largest labor monument in the United States. 500 S. 20th St. | ocm.org ½ Mile from The Old Market Omaha Children’s Museum is Omaha’s premier participatory museum, featuring exhibits for families with children ages 0-8. Permanent exhibits include the Tinker Lab, Imagination Playground, and a science center. 409 S. 16th St. | omahaperformingarts.org ¼ Mile from The Old Market Built in 1927, the Orpheum Theater is home to Broadway, dance, comedy and popular music acts like Disney’s The Lion King, Wicked, and more. Opera Omaha and American Midwest Ballet also perform here. 2001 Farnam St. | rosetheater.org ¾ Mile from The Old Market The Rose Theater is committed to enriching the lives of children through live theater and arts education. We are proud to be the place where a love of theater begins. TD AMERITRADE PARK 1200 Mike Fahey St. tdameritradeparkomaha.com 1 Mile from The Old Market TD Ameritrade Park Omaha, Omaha’s premiere sports stadium and outdoor entertainment venue, is home to NCAA Men’s College World Series, Creighton Bluejays baseball, concerts, and events. Discover Omahaâ&#x20AC;&#x2122;s newest dining gem located in the Capitol District, featuring Prime Black Angus steaks and seafood cooked over an open wood fire, impeccable service and an ambience worthy of any occasion. There’s always something to do in The Old Market area, from perusing art galleries and museums to taking in a live show. If being outside is more your style, there are easily accessible park areas and oftentimes outdoor events happening just down the street. A short walk or a quick cab ride can get you to a live music club, the College World Series, a museum to explore, or just to dinner if that’s what you want—it’s all up to you. tertainment is just steps from the Old Market. m Theater and Holland Performing Arts Center! O SEE WHAT’S PLAYING NOW! Omaha is one of the best cities for a foodie, and The Old Market is the best neighborhood for foodies in Omaha. The 40-plus restaurants in the area offer everything from street-style tacos, to hearty pub food, to nationally recognized, upscale cuisine. The cocktail scene is also thriving—offering delectable tiki concoctions or craft beers brewed right here in The Old Market. So whether you’re craving a 5-course meal, a snack to replenish your energy, or a tasty beverage to quench your thirst, you will easily find what you need. All within walking distance of wherever you’re staying. FR ESH. LOC A L. DI V I N E.
Whatever your needs, The Old Market aims to meet them. From church services to tattoos, we have you covered. Whether you need a loan or a lawyer, there are several local options to choose from in the market. Thinking about booking an event? Find just the right atmosphere here, whether you want a historic setting or something more modern. You may even choose to pamper yourself in one of several, locally-owned salons and spas. Find it all right here in The Old Market. Walking through The Old Market, you might miss one of its unique, locally-owned gift shops if you’re not paying attention. In every nook and cranny, or even underground, the market has something for everyone if you just know where to look. Some shops are up, down, around the corner, and even in the alley—waiting for the right collector of one-of-a-kind items to come in and discover the magic of the perfect piece. From cigars to jewelry to kitschy magnets, you can find it in one of our shops. Find the right fit for your stay in Omaha at one of our downtown hotels, with several right here in The Old Market. Or, if you’re looking for something more permanent and want to live near the bustling brick streets of The Old Market, there are several agencies ready to help you find your dream apartment, condo, or home. Whatever you require, we’ll help you find it. 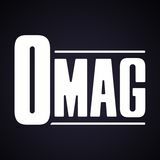 OMAHA MAGAZINE â&#x20AC;&#x201C; itâ&#x20AC;&#x2122;s about all of us. We publish stories about interesting people who live next door and fascinating former Omahans. Read stories about the arts, the food, the music, and the events that make Omaha the cultural epicenter of the Midwest. Blackstone Blackstone is once again a burgeoning business and residential district spilling out from mostly turn-of-the-century doorways. Its proximity to major academic and medical institutions, Omahaâ&#x20AC;&#x2122;s airport, and other historic neighborhoods make it a convenient destination or the perfect place to live and work. Step into one of the many stylish establishments for delicious eats, distinctive microbrews, craft cocktails, or an espresso from a nationally renowned barista. Come experience the exciting renewal in this classic-meets-contemporary part of town. Midtown Crossing This is what a strong urban core looks like—a diverse neighborhood where restaurants and retail, community events and individual experiences come to life. An energetic embrace when you want to live loudly, a quiet escape when you don’t. We’re dinner conversation with friends and shopping you won’t find anywhere else. Sixteen acres of life’s little extras: activity, serenity, community. Perfectly centered. East of expected. Located just north of the Old Market, North Downtown is Omaha’s fastest growing neighborhood with several new developments currently underway. North Downtown is home to a range of entertainment options, from Hot Shops Art Center and TD Ameritrade Park, to the Slowdown (Omaha’s iconic live music venue) and Film Streams independent movie theater. It’s no surprise that entrepreneurs, creatives, and young professionals are flocking to the neighborhood to live, work, and play. NORTH DOWNTOWN is a good place to... LIVE, WORK, EAT, DRINK, SHOP, DISCOVER, CREATE & SO MUCH MORE!